Nothing makes your heart soar like being in love. 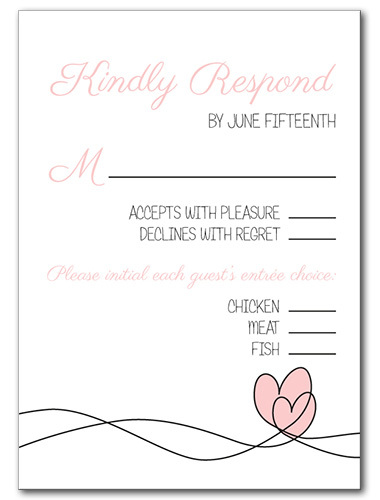 Share this sentiment with friends and family with this playfully romantic Soaring Hearts response card. Scrawled pink hearts at the top combine with a hand-drawn look for a laid back vibe that is both whimsical and romantic. Choose your own wedding font for a more customized appearance. Soaring Hearts Response Card For the best experience, we recommend personalizing your stationery on a desktop computer.